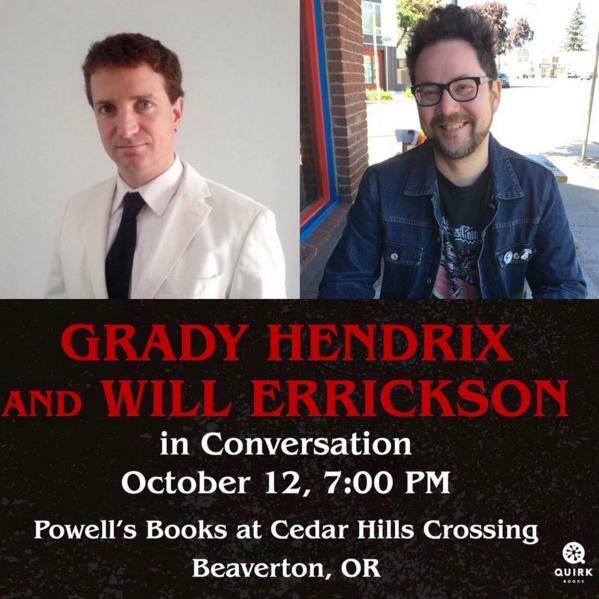 Too Much Horror Fiction: Meet Grady Hendrix and Me Tonight at Powell's Books in Beaverton, OR! I am reading Paperbacks From Hell at this moment and getting a big kick out of the covers AND the humorous text. I laughed out loud a few times so far at some of the great passages, like this one for example from the chapter,"Death Comes Crawling":"But insects don't just want to teach us to be good by chewing off our faces-they also want to gobble our junk."HAHAH! 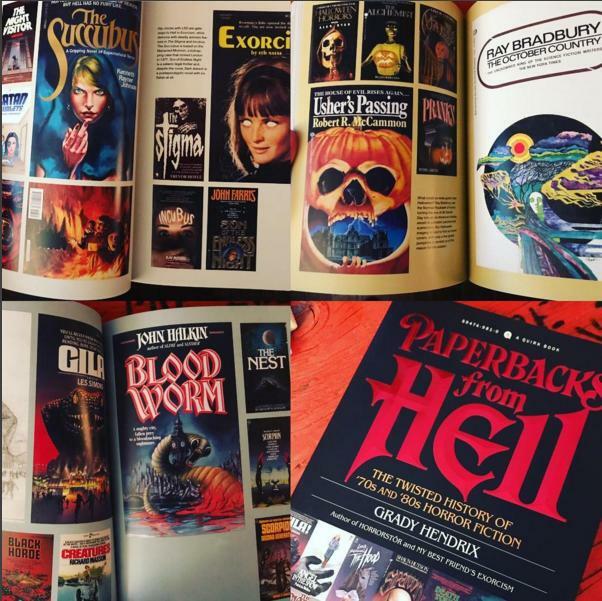 Thanks for all the fun this book has brought guys! O yes, I have written down a few book titles that I think sound interesting. I will be purchasing soon! Really need to read more Ken Greenhall especially.